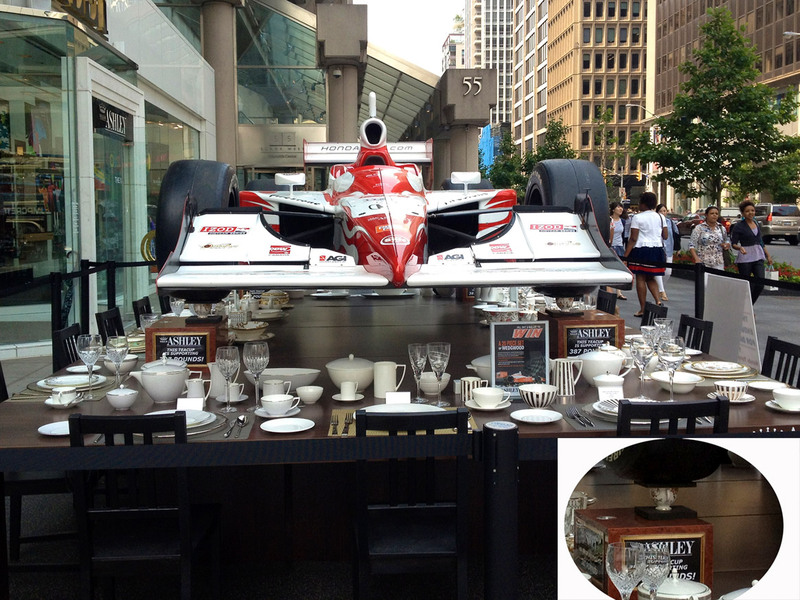 Check out this display of a Honda Indy Car perched on top of four bone china tea cups. 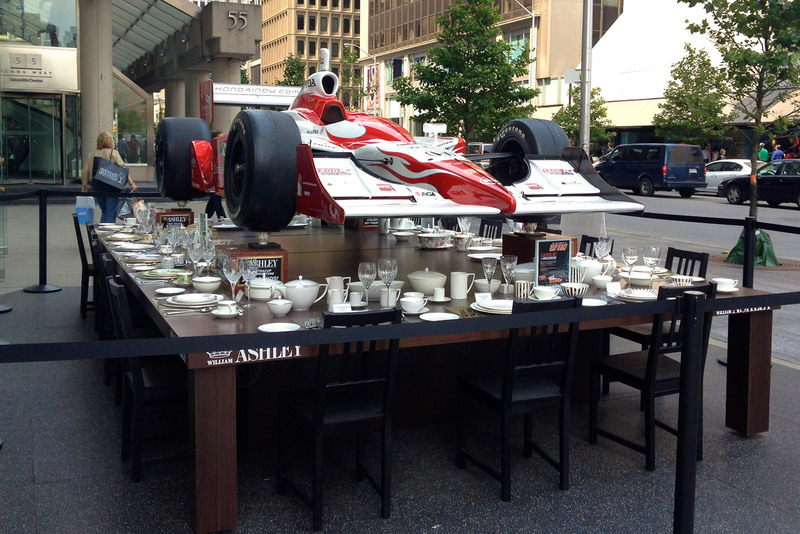 The car was part of a promotion outside a china and glassware store in Toronto, Canada for the upcoming Honda Indy. Each cup is supporting 387 pounds. Impressive to say the least! “Traffic Jam Assist uses several of Ford’s current radar and camera systems (active park assist, adaptive cruise control and Lane-Keeping Aid) to help a vehicle keep pace with others in traffic and provide automated steering control so it stays in its current lane. It also detects changing traffic patterns on the road ahead and communicates them to the driver. So far, the prototype system works in highway situations where lanes are clearly marked and there are no pedestrians, bicyclists or animals present. ‘Individual simulation studies have found that where 25% of vehicles on a stretch of road are equipped to automatically follow the traffic ahead, journey times can be reduced by 37.5% and delays reduced by 20% — saving millions of gallons of fuel each year,’ Ford said in a statement. By overriding stop start driver behavior, these automated driver systems allow traffic to flow smoother and average speeds increase as a result. Remember this theory the next time you are stuck in traffic! Check out this video of former F1 driver David Coulthard catching a golf ball hit by pro golfer Jake Sheperd. The car caught the ball 275 metres away from the tee. Here is the behind the scenes video on how the stunt was set up. While this study was conducted for a car accessories chain and the numbers may not hold true for every city it’s interesting note the wide variation in numbers. 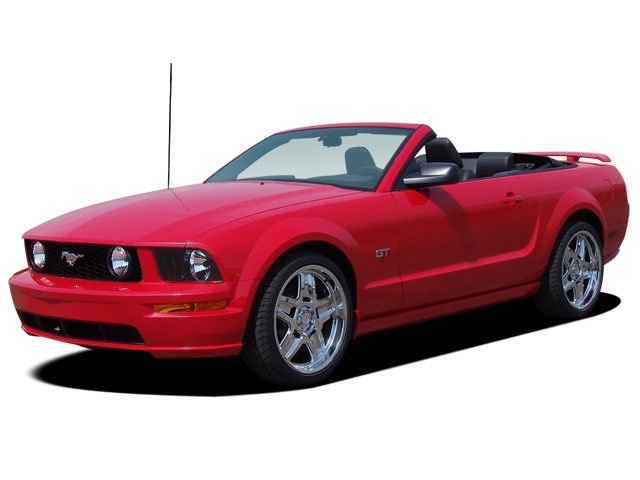 Red isn’t the most popular vehicle colour in the UK by the way, according to the AA silver is. BMW Canada have released a new video showing their M5 sedan crashing through some objects at high speed in the desert. The video appears to be shot with high speed camera and the footage slowed down into what BMW calls High Performance Art. The cinematography in this video is very impressive and, oh yeah, the car is mildly impressive as well! Too bad it’s going to loose its manual transmission option next year as has been widely reported. 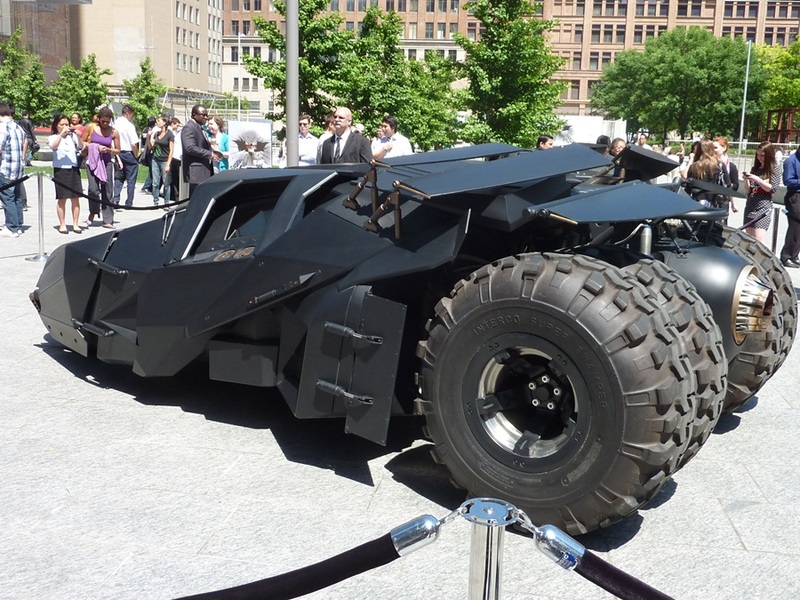 I don’t know about most people, but the RedlineNorth Team feel they are pretty good at parallel parking. Perhaps that comes from living in an urban environment and the necessity of having to parallel park on a frequent basis. Whatever the reason the following video shows drivers taking parallel parking to a whole new level. 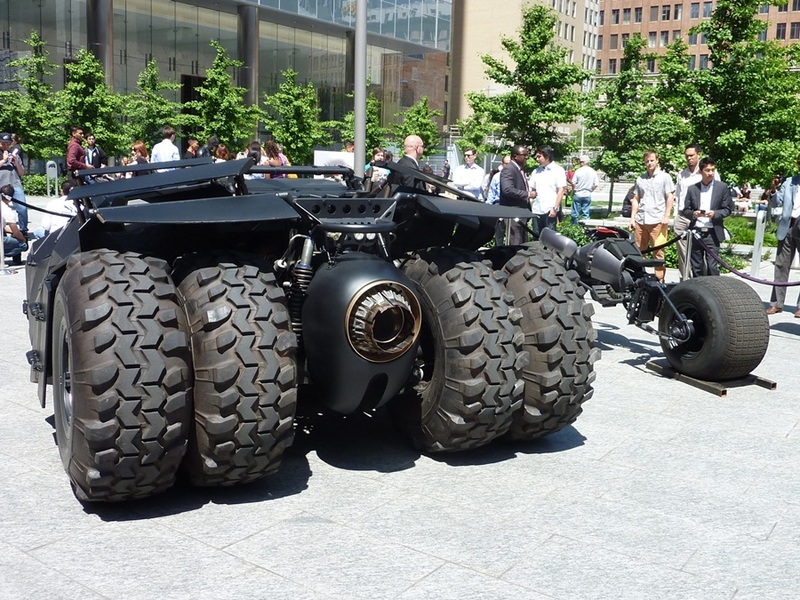 It’s from a recent Guinness World Record attempt in China. While records eventually get broken I don’t know how someone is going to top this. 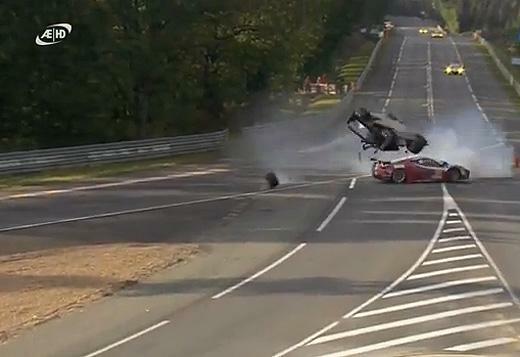 Remember kids don’t try this at home with Daddy’s new BMW! If you have been following us for a while you know the RedlineNoth Team has an affinity for rally car driver Ken Block and his Gymkhana video series. News today that the next edition Gymkhana series, Gymkhana 5, will debut on July 9th. Similar to Gymkhana 4, the new video will be in partnership with DC Shoes. For more info the official press release is below. 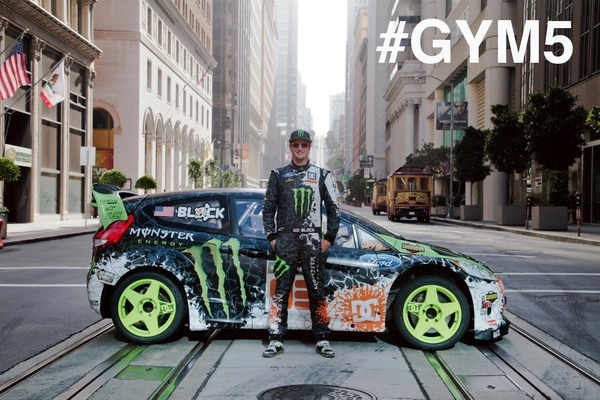 JUNE 18th, 2012 – Huntington Beach, California – After much anticipation, Ken Block and DC Shoes are proud to announce the coming of Gymkhana FIVE, which will debut globally on Monday, July 9th at 10 AM EST via the DC Shoes YouTube channel. Filmed on the streets of San Francisco, California, Gymkhana FIVE builds on the previous successes of the Gymkhana viral video series and it’s 140+ million views. 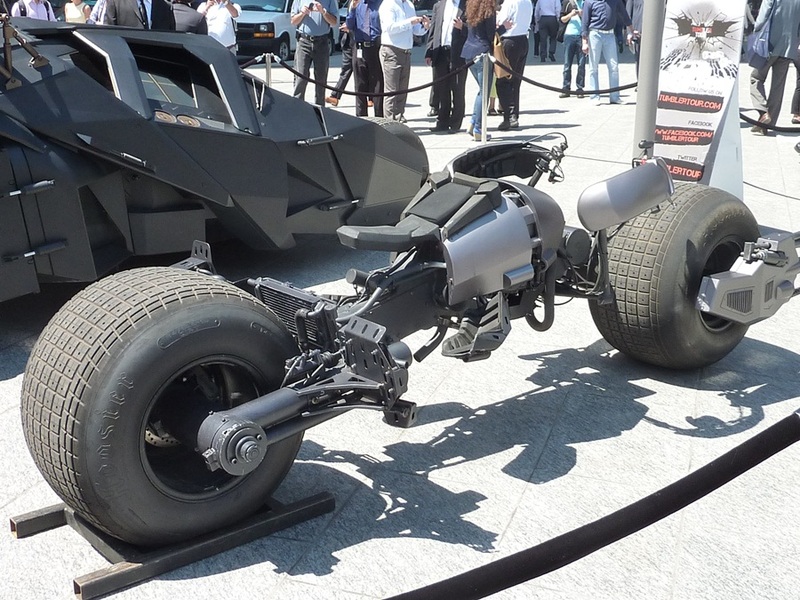 Without question, the streets of San Francisco make Gymkhana FIVE the most unique project to date in the franchise’s history. And for good measure, a few world records and a surprise guest have been thrown in too. Making a return for the second year in a row is Block’s Ford Fiesta H.F.H.V. 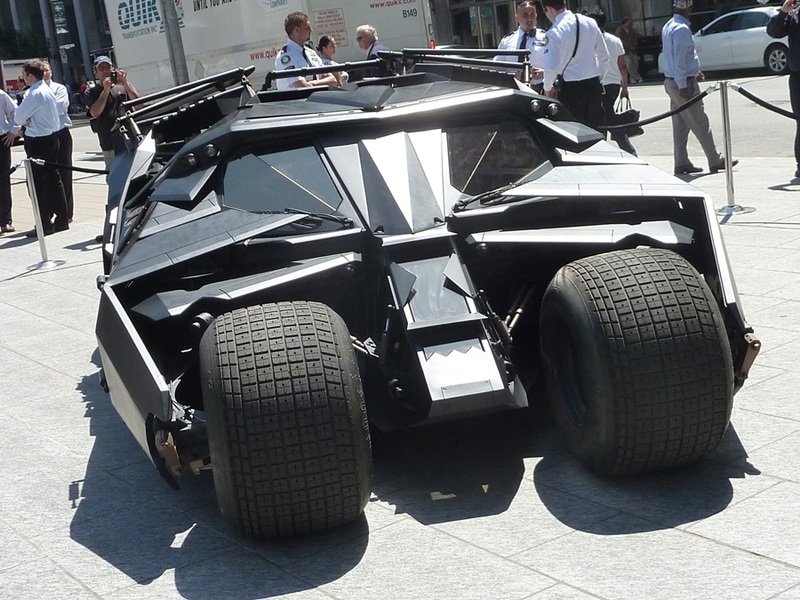 racecar, which can be seen slaying its tires on the streets of San Francisco globally on the July 9th release date. For select media and action sport VIPs, DC will premiere the video on Friday, June 29th during Summer X Games 18. 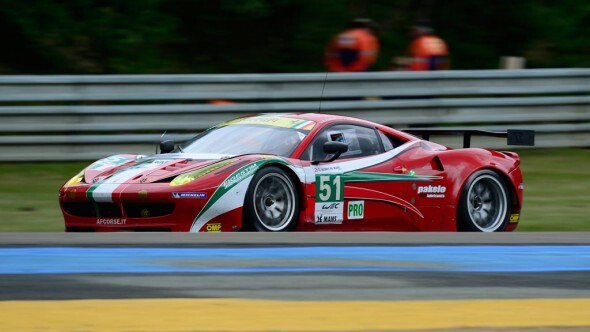 With this year’s 24 Hours of Le Mans wrapping up over the weekend we thought it was an appropriate time to look at this incredible race. 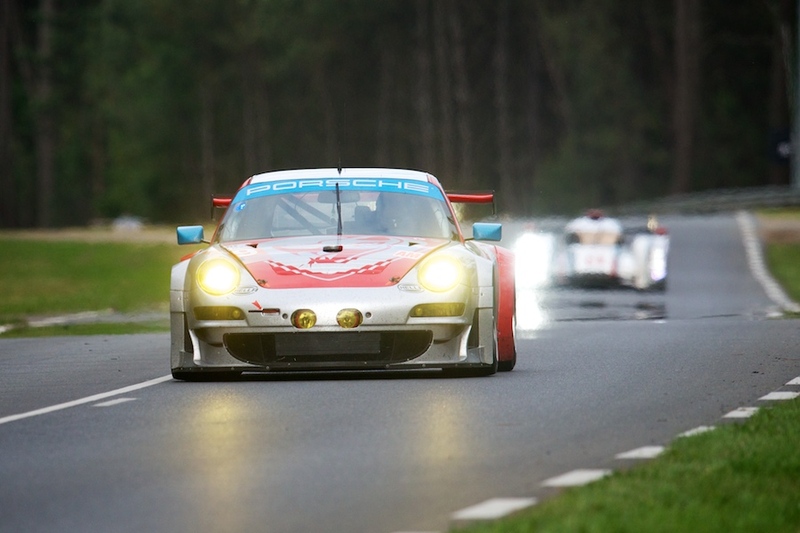 The 24 hours of Le Mans is the world’s oldest active endurance auto race having been held annually since 1923 near the town of Le Mans, France. 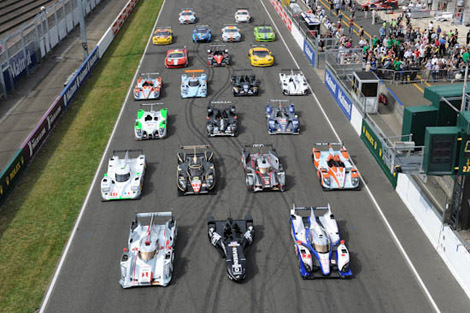 This year’s race was historic for a number of reasons as it was the 80th anniversary and first win by a hybrid-powered car. With the no.1 Audi R18 e-tron quattro of Andre Lotterer-Marcel Fassler-Benoit Treluyer taking the checkered flag on Sunday, Audi Sport secured its spot in automotive history with an 11th win to put them second on the all time win list only behind Porsche’s 16 overall victories. 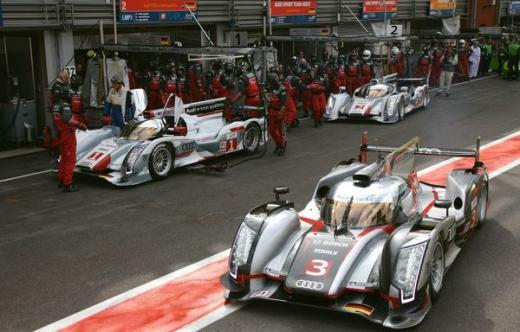 With the 11 victories coming in 13 attempts, Audi Sport has come to define what it takes as a racing team in today’s modern era to win the Holy Grail of endurance which is Le Mans. 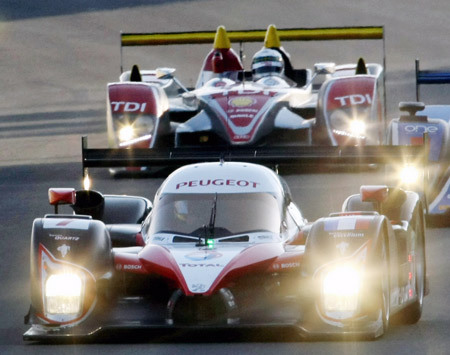 All these victories are not ending at the racetrack as Audi has been leveraging their experience to produce some of the world best performance vehicles.You only have to look at Audi’s amazing line-R8, A8, A6, S5 and S4 models to see first-hand how the former NASCAR saying of a “win on Sunday” translates to “sell on Monday”. 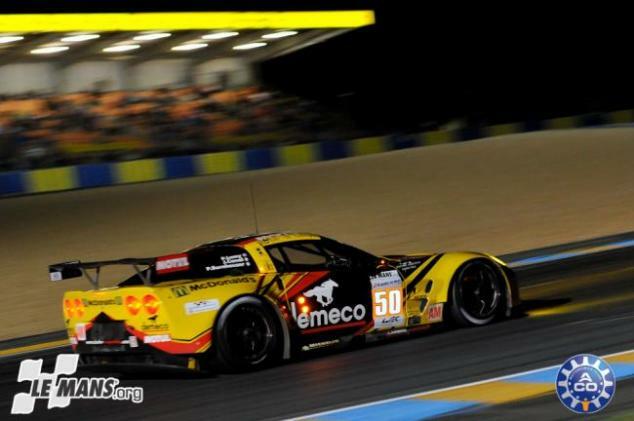 Here are some images from the weekend action along with the 2012 Le Mans trailer video. 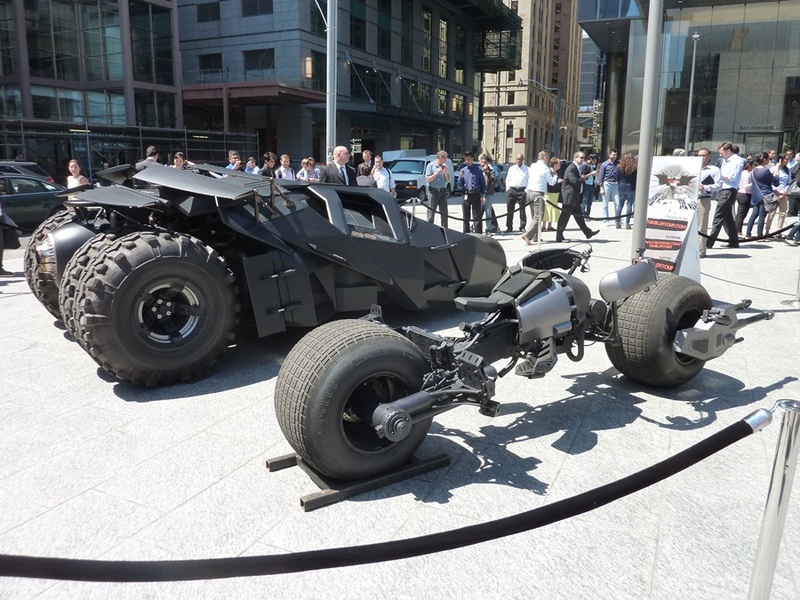 With the new Dark Knight Rises film opening in theatres next month the PR campaign is in high gear and the Dark Knight’s Tumbler Batmobile and Batpod were recently on display downtown Toronto. 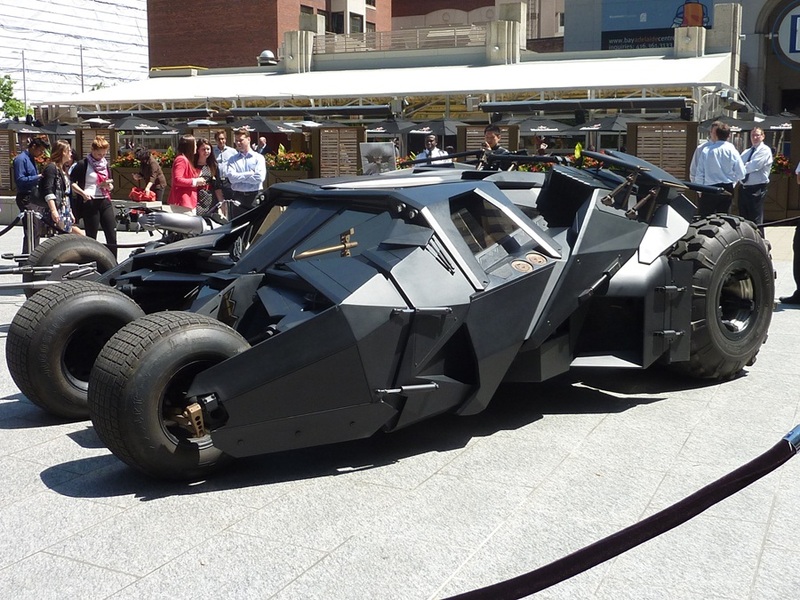 The RedlineNorth team captured some of this recent excitement as the Bay street set checked out the Dark Knight’s two amazing rides.